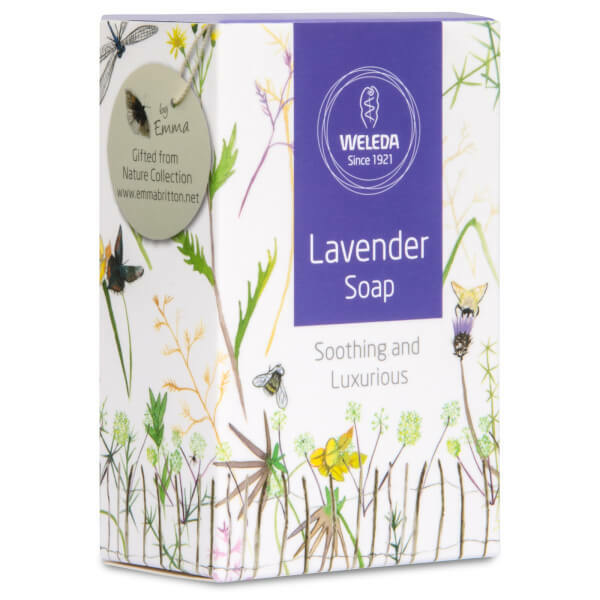 Infuse skin with softness and scent using Weleda Lavender Soap, a 100% natural bar soap crafted with Vegetable Oil. Helping to relax the body and mind, the formula uses essential oils and floral extracts to replenish high levels of moisture to skin whilst gently sweeping away dirt and impurities. Expect refreshed and radiant results. Sodium Palmate, Sodium Cocoate, Water (Aqua), Sodium Olivate, Fragrance (Parfum)*, Glycerin, Iris Germanica Root Extract, Chamomilla Recutita (Matricaria) Flower Extract, Viola Tricolor Extract, Oryza Sativa (Rice) Extract, Lavandula Angustifolia (Lavender) Oil, Malt Extract, Sodium Chloride, Sodium Stearate, Alcohol, Limonene*, Linalool*, Citronellol, Geraniol*, Coumarin*.